C Clefs – When and Why? C Clefs - When would you use C Clefs and Why? Rob Whitworth, a teacher in Calgary, Alberta, wrote to give us Reason #5: You’re a trombonist and need to learn to play Alto and Tenor C Clefs. (He had to learn those C Clefs in High School to play in the Youth Orchestra.) Thanks Rob! The different placement of the C Clef on the Staff will create 5 different C Clefs. While quite common in the Classical Period, especially in vocal music, we usually only see the Alto and Tenor C Clefs in orchestral music. The Mezzo-Soprano C Clef was used for the Mezzo-Soprano voice, which has a typical range from the A below Middle C (A3 – or the 3rd A up from the bottom A of the Keyboard) to the A two octaves higher (A5 – or the 5th A up from the bottom A of the Keyboard). The Alto C Clef is used when playing the viola. 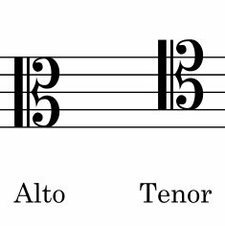 The typical range for an Alto Voice is from G3 to E5. Placing the pitch for Middle C on line 3 of the staff allows for maximum range with minimum ledger lines. You will see the Alto C Clef in open score for String Quartet: Violin 1 (Treble), Violin 2 (Treble), Viola (Alto) and Cello (Bass). The Tenor C Clef is still often used for the double bass, bassoon and trombone. The typical range for the Tenor Voice is from C3 to A4. The Baritone C Clef was used for the Baritone voice, which typically had a range from A2 to F4. The Subbass Clef is actually identical to the Treble Clef transposed down 2 octaves! How COOL is that? 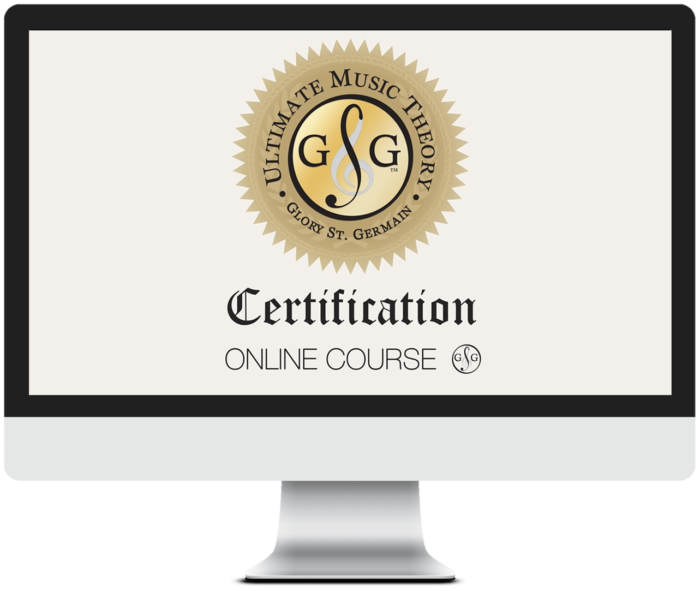 You can print this and place it in your Ultimate Music Theory Answer Books for Complete Rudiments in Lesson 1 and for Advanced Rudiments in Lesson 1. When you are reading the explanation for C Clefs, you can impress your students with your superb knowledge of the C Clef and the movable F Clef and G Clef. Explore the range for each C Clef Voice on the piano, explaining to your students what a letter plus number (C4, A3, etc.) means. They will be wide-eyed with awe. 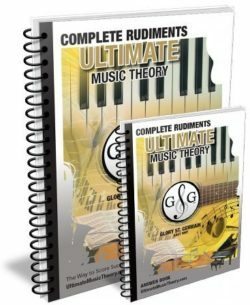 Get the Ultimate Music Theory Complete Rudiments Workbook today. P.S. And speaking of the Complete Rudiments Workbook – have you completed the Teacher Challenge and are you working through the Complete Rudiments Workbook yourself? Let me know how you are doing and what your “ah-ha” moments have been! Tenor clef is used regularly for the upper range of the cello. When I was a beginner cellist years go, my strategy was to stop playing when it shifted to tenor clef, count like crazy, and come back in when the bass clef returned. It was something I had to learn to overcome and I’m fine now! I’m confused – isn’t the A below middle C considered A4 since the lowest note on the keyboard is an A? Good question and so I “added” the answer to the Blog: The Scientific Pitch Notation for the lowest A and B of the piano keyboard is A0 and B0. The lowest C is considered to be C1. I do NOT know why they consider the lowest A and B as “A0 and B0” while the lowest C is “C1”. Is there anyone out there who can explain this to us in “easy to understand” terms? I would appreciate it! Thank you. I need to review and to be reminded . I think we normally start counting with 1, and C (as in CDEFGAB). So the lowest C is C1. But there are two notes below the C1. The only logical way is to label them A0 and B0.